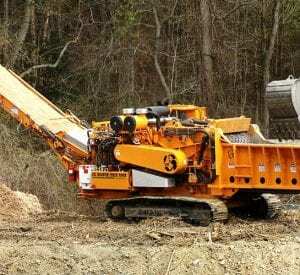 Frontline Machinery is proud to carry an elite section of horizontal wood grinders which combine strength with endurance. 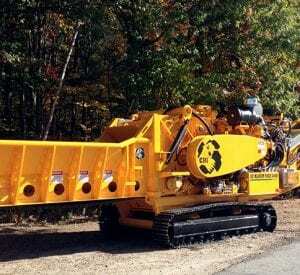 Whether you are looking for a high speed upswing or downswing grinder, a track mounted diesel-powered or a stationary electric grinder, Frontline has the grinding solution for your wood waste, asphalt shingles compost and recycling needs. 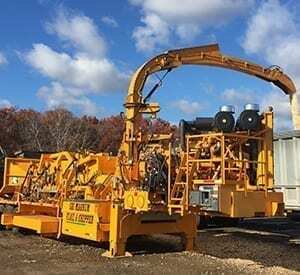 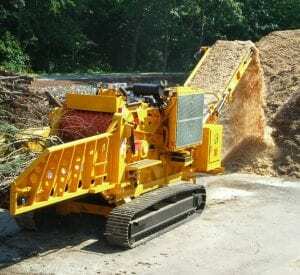 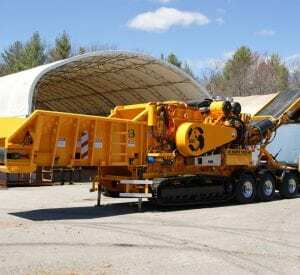 Designed to process whole trees and stumps, railway ties, organic green waste and any other wood debris such as pallets, our new and used equipment for sale or rent provide land clearing, yard waste , construction and demolition wood processors, and mulch yards what they need for maximum throughput and reliability.